Terraria has several expressive merits compared to Minecraft and one of them is a huge set of swords. Some swords look just amazing with an unusual shape, color and size. 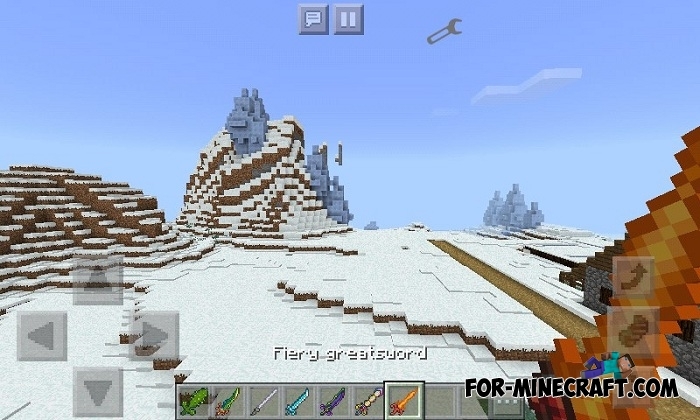 Go down and you will see the entire list of swords from Terraria Swords mod that will be added to MCPE. Damage is distributed in such a way that each next sword from the list deals damage 1 more than the previous one. 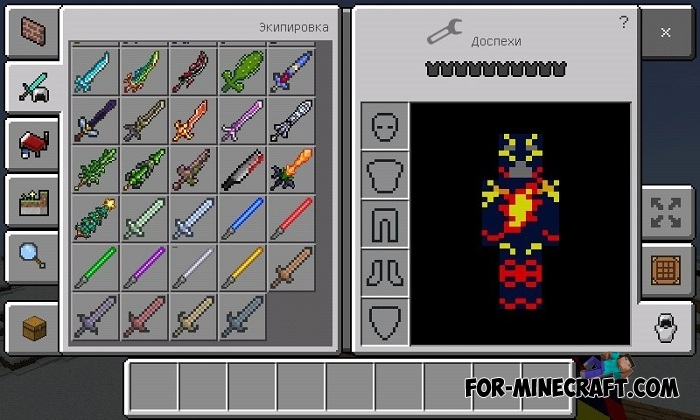 How to install the Terraria Swords mod? Download the mod and BlockLauncher. Run BL and select ModPE -> activate the mod file.